They say the hands are the first to reveal your age. But the jaw and chin often announce the passage of time more noticeably. As we age, our body produces less collagen and elastin, the essential proteins that help plump the skin and ensure resilience. Defy time and restore our youthful appearance with dermal fillers for the jawline. 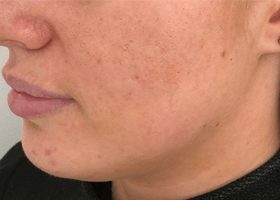 Not only can Dermal Fillers in the jawline be effective in lifting sagging jowls, but it can also work wonders for contouring. Not all of us are blessed with a chiselled jawline, however if this is something you would like to achieve then Dermal Fillers can help. Administered along the jawline and in the chin, they can help to contour and elongate the face. For those wishing to avoid cost and lengthy downtime associated with surgery, dermal fillers deliver an effective solution. Our advanced techniques contour and lift the jawline, ensuring you look – and more importantly – feel renewed, revived and reinvigorated. Results are natural, subtle and instant. Premier Laser & Skin clinics administer only the most effective, safe and reliable dermal fillers. The gels are natural and biodegradable, ensuring maximum absorption by the skin. Utilising hyaluronic acid, naturally produced by the body, these injectables infuse your skin with plumping and hydrating power. Particularly potent in the lower facial area, dermal fillers will re-contour your jawline – and show time who is in control. Our duly trained Aesthetic Nurse Injectors have performed these treatments countless times; rest assured that your experience will be as comfortable as it is effective. And, with minimal downtime, you can continue with your busy schedule. With a spring in your step. If you struggle with a sagging jawline or drooping chin, dermal fillers offer a safe, non-surgical solution. Speak with our team to learn more. You will undertake a consultation with our Aesthetic Nurse injector to discuss the treatment and your expectations. Our nurse will then provide you with any further information and recommend what you should have to achieve the results you are after. The area will be cleaned and the Dermal Fillers will be administered into the jawline using a cannula. The results from Dermal Fillers in the jawline will be instantly visible. 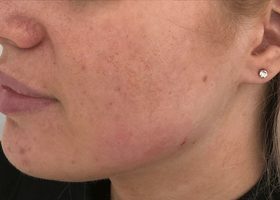 The area can appear swollen for 24-48 hours after treatments, however once this subsides you will be able to see the full results. Dermal Fillers in the jawline can last up to 12 months, however many clients will require a top up after 6-9 months. Some discomfort can be felt during the treatment, however your nurse can apply numbing cream before she administers the Filler to ease any pain felt. All of our Injectable treatments are carried out by an experienced and licensed Aesthetic Nurse to ensure optimal safety.